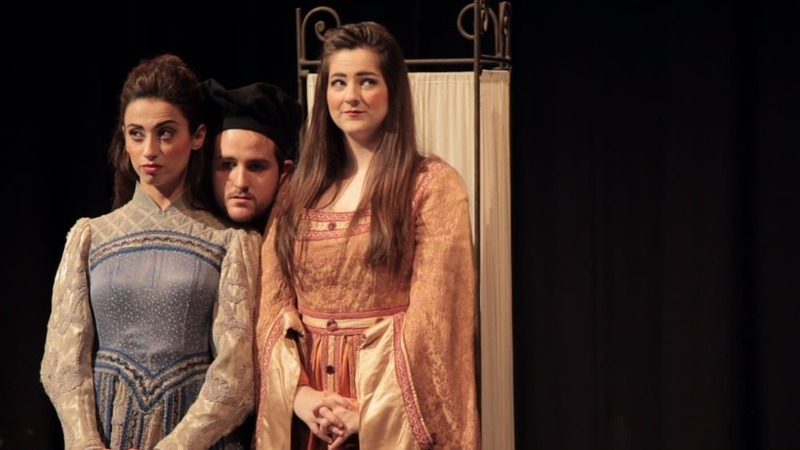 Sarah Maple’s new film work, Keeping Up With The Kapulets, sees actors in full period costume recreate an episode of Keeping up with the Kardashians, word for word, in the context of a classic Shakespearean theatre production. Reality television shows are an integral part of modern television viewing, however despite their popularity they are commonly seen as a form of cheap, lowbrow trash with which to fill television schedules. It follows that many people consider Reality TV unworthy of intellectual study, whilst at the same time the attitudes, fashion styles and life choices of its stars, who are so prominent in the public eye, are continuously fed into wider culture with a relentless turnover and quality of content. There is a current culture of ‘The Self’ that has emerged in the past decade, a by-product of the change in programming, technology and immediate access to the daily, even to the minute, lives of celebrities. The boundaries and distance have become blurred. In copying the celebrity Instagram style of self documentation, can the public achieve the same status?